Digital Multi-Retard – Part# 8975 – The Digital Multi-Retard provides four different stages of retard along with an adjustable start retard feature – all of this with no modules! The MSD Multi-Retard uses a high speed RISC microcontroller to direct the timing functions. This controller can make extremely quick compensations to the timing while maintaining accuracy to within 1°. These circuits are thoroughly debounced and isolated for protection against Electro Magnetic Interference (EMI). There is also an innovative Magnetic Pickup Compensation circuit built-in to allow for rock steady timing with a variety of different mag pickups. There are four separate retard stages that can be activated independently or together for a total sum of retards. Each stage is adjustable from 0° – 9° and a maximum of 20° of retard can be pulled out. On top of these great features, there is also an optional start retard circuit that can be programmed to retard the timing 5°, 10°, 15° or 20° during cranking. 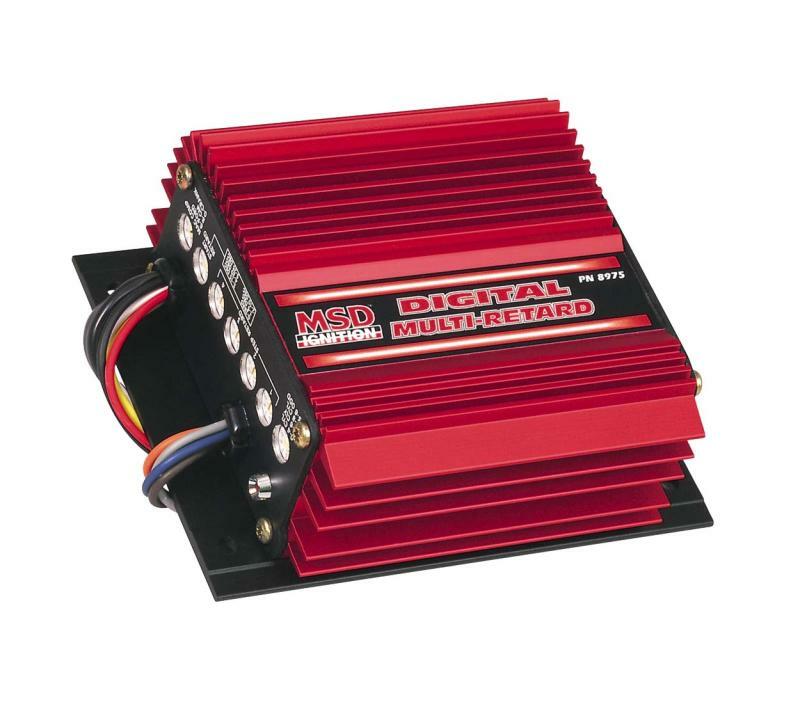 The Digital Multi-Retard can be used on 4, 6 or 8 cylinder engines and must be used with an MSD Ignition Control. Three Stage Retard Control – Part# 8970 – The Three Stage Retard Control allows you to retard your ignition timing in three different stages. You can activate one retard for a nitrous stage and another at top end in high gear for more mph and still have another module left over for dual stage nitrous systems. When activated together, the retard amounts are cumulative so you get the total of the three. For example, if you pull 2°, then 4° on the second stage and another 2° at top end, the total retard is 8° (2+4+2=8). In addition to the individual retard stages, the Three Stage Retard Control has an optional start retard function that retards the timing 10° or 25° while cranking the engine. This makes starting high compression engines with locked-out timing, such as crank trigger systems, much easier. 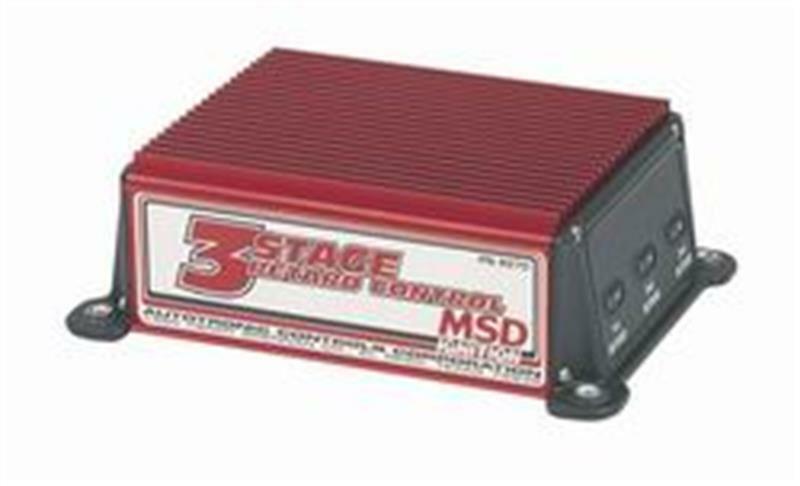 The Three Stage Retard Control connects easily to your MSD Ignition and can be triggered from points, electronic ignitions, crank triggers or magnetic pickup distributors. The Three Stage is supplied with a 2°, 3° and 4° module and must be used with an MSD 6, SCI, 7, 8 or 10 Series Ignition.